Henry Moore, Mask (1929): Modern British and Irish Art, Bonhams, London, 14 November. Estimate £1m-£1.5m. Writing about his admiration for Pre-Columbian sculpture, the British sculptor Henry Moore cited its “simple, monumental grandeur” and “massive weightiness”, which made it seem indestructible. 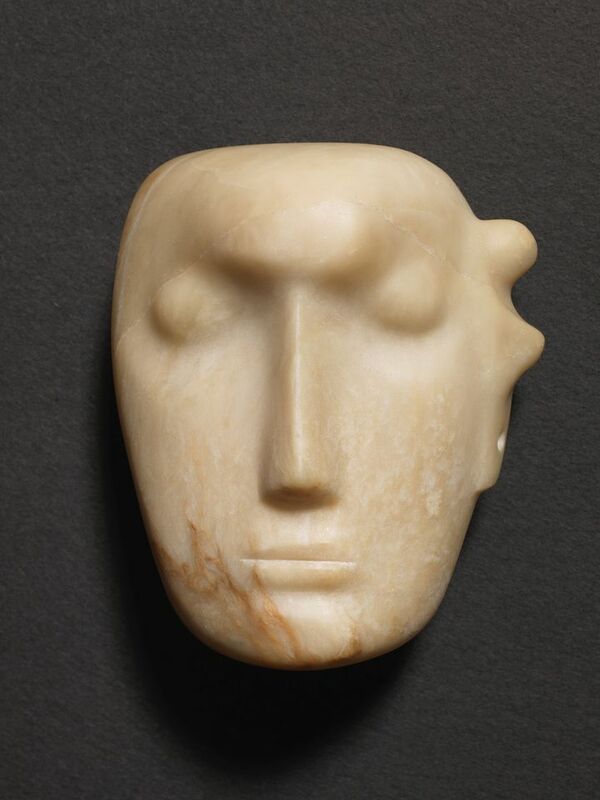 While most of the masks from this series, made between 1924 and 1930, were carved from stone or cast concrete, this abstract piece is the only work from the series in a soft alabaster. The work is being offered at auction for the first time after being held in private hands since around 1945, though a mask from the series last surfaced at Sotheby’s New York in 1997 and made a record sale of $398,500, doubling its high estimate. 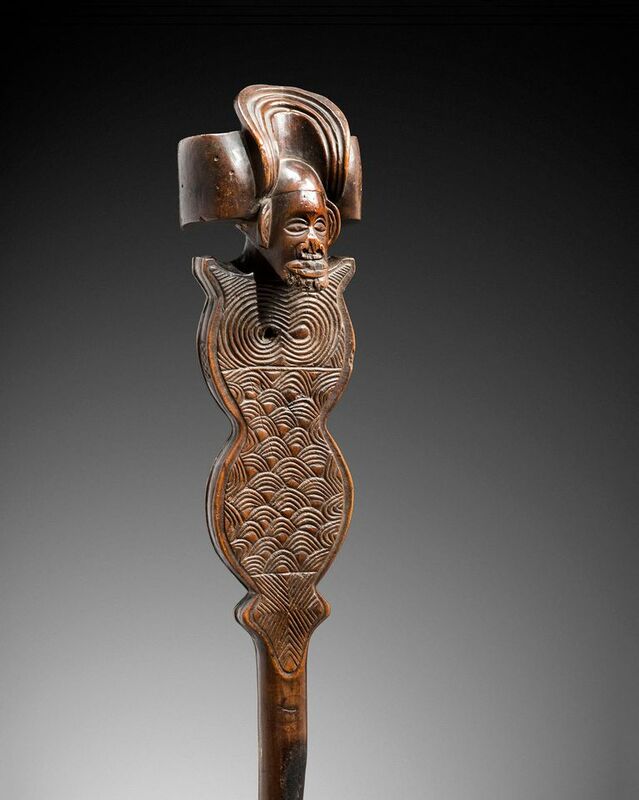 This sinuous wooden sceptre was made in the style of the Moxico School of the Upper Zambezi region of Namibia and has been widely published and shown since its discovery in the 1930s. The scepter was “used by a king as a symbol and element of power”, says Alain de Monbrison, the auction house’s African and Oceanic specialist adding that “such works are extremely rare”. It is the last known example in private hands; three similar pieces are held by the British Museum, the Ethnologisches Museum Berlin and the Ethnographic Museum of Geneva. Aboudia, Untitled (2015): Contemporary African Art, Piasa, Paris, 14 November. Estimate €12,000-€18,000. 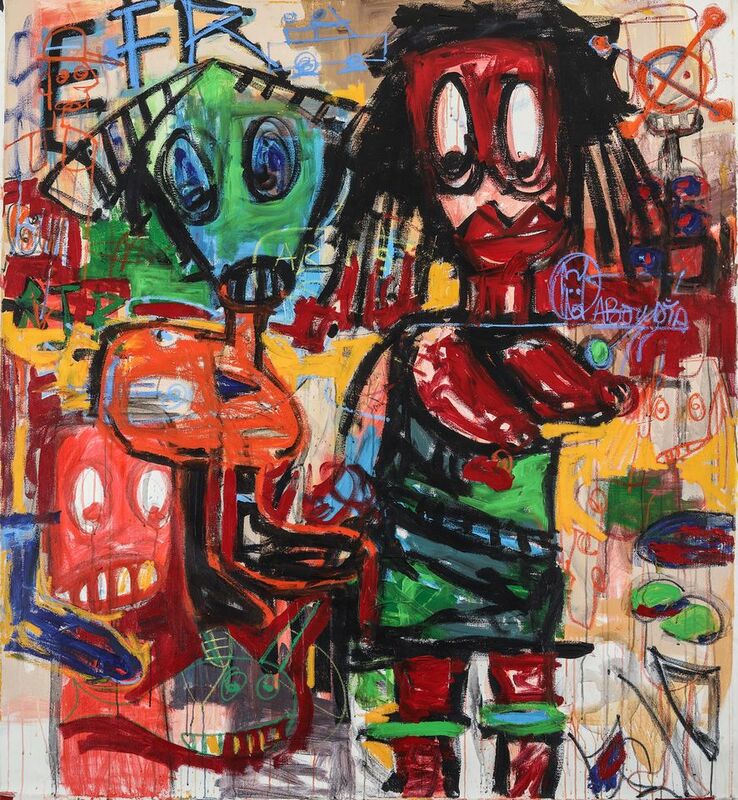 Brooklyn-based Ivorian artist Aboudia quickly garnered attention after his work was included in a 2011 group show at London’s Saatchi Gallery and since then, “his career has been propelled in Europe, Africa and the US”, says Piasa’s head of contemporary African art, Christophe Person. The hammer price for this work could be propelled by the fact that the auction house organised an exhibition of 20 new paintings last year that sold out two weeks before the opening of the show and, just last month, Bonhams London set the record for the artist with an oil and crayon collage on canvas that made £25,000 (est £10,000-£15,000).